If you caught my last post on staining the cabinets (Best Gel Stain Ever! 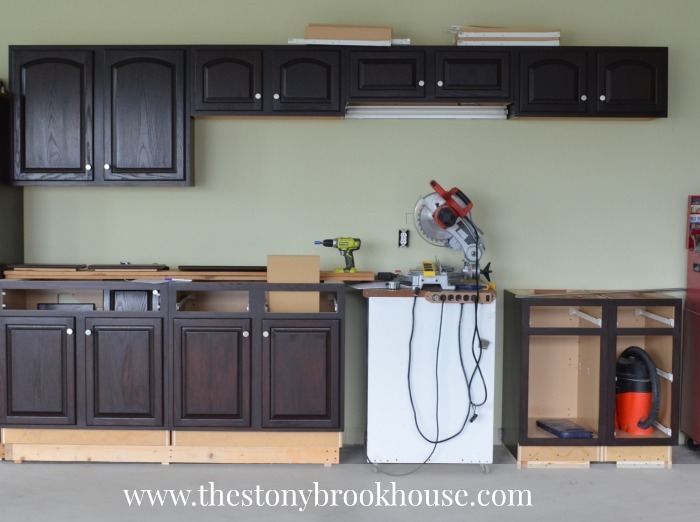 ), you saw that our cabinets are up and on the wall. Happy Dance! Yay! Finally, there is a light at the end of this! 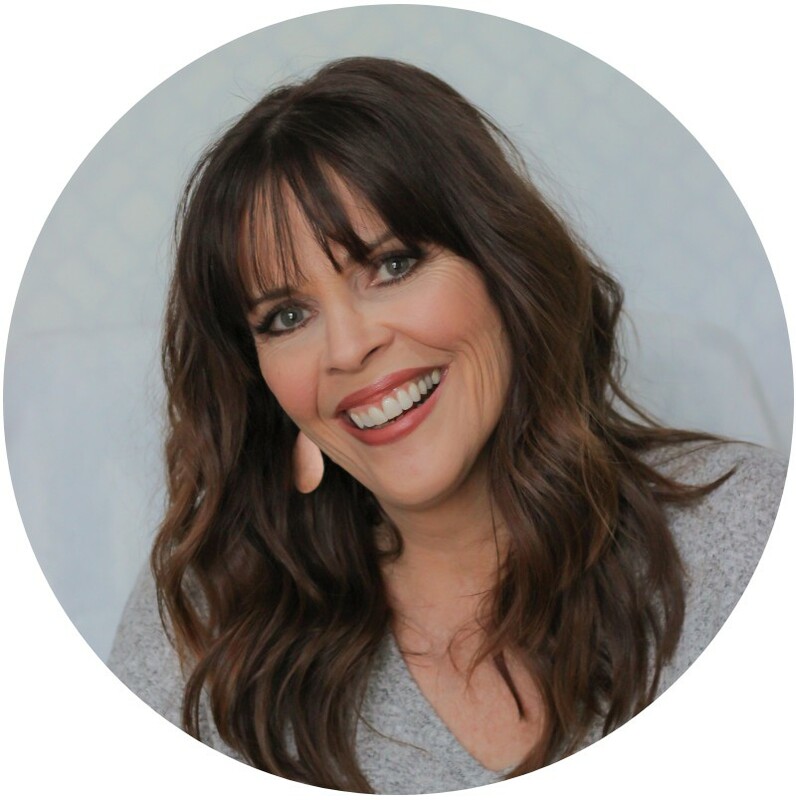 This week has been busy and beautiful! The weather here in Pennsylvania has been exceptional. It definitely doesn't seem like we are at the end of July. Usually, it would be a hot sticky mess....But it has been 70-80s and dry and gorgeous! And I am enjoying it thoroughly!! :) Anyway... Here's what I wore to church yesterday. Yes, I know that's a huge claim, but I really think it's true! And... no one is paying me to say that! Of course, you know that my 'go to' to find information or ideas is PINTEREST. No surprise there, right?! So, hubby wanted the cabinets we got (FOR FREE! Thank you, Butch & Kim!) to be stained a nice dark coffee color. 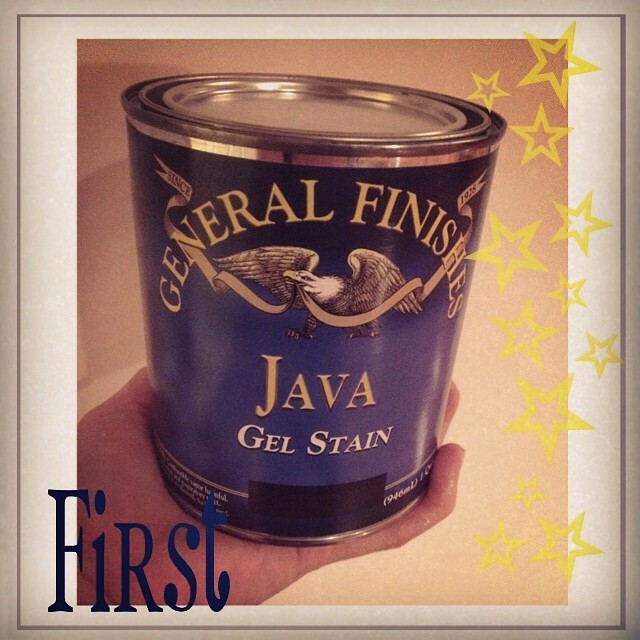 Have you ever heard of General Finishes Gel Stain? This pic is from my INSTAGRAM, it is part of the photo a day series, I LOVE doing! It was the "first" time I've ever used this. 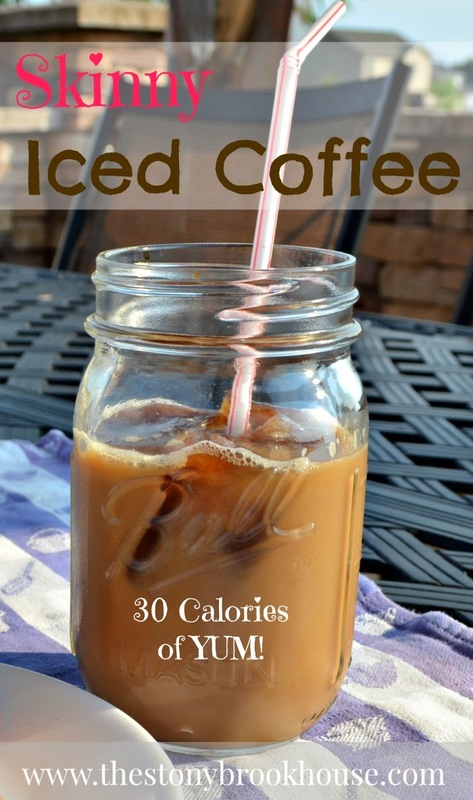 I've never really liked Iced Coffee before. Now the frozen ones... totally different story. But the calories have always kept me away from them. I have this thing... I don't like to drink my calories. I mean unless I'm having a smoothie for breakfast or lunch, that's different. But to gulp down 200-600 calories on a drink... No. Not going to happen. But I don't have to worry about this baby.... No Sirrreeee!!! Only 30 simple calories.... Now THAT'S what I'm talking about! I can handle that! 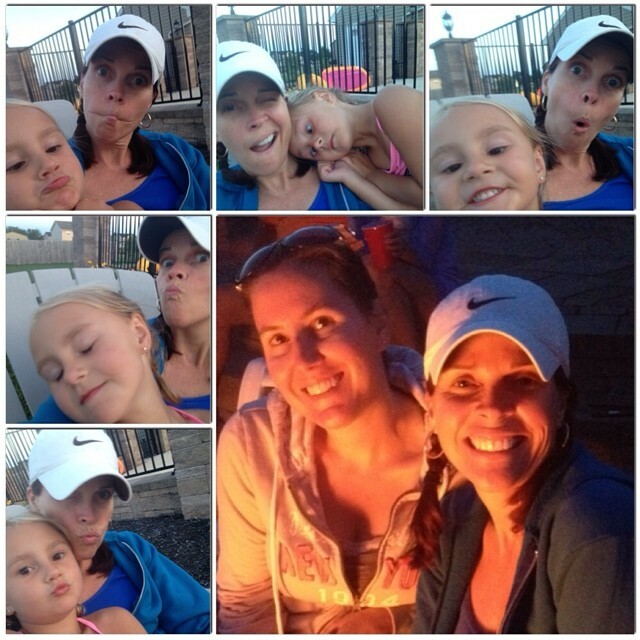 Hope you all had a fabulous 4th of July weekend! We spent the weekend hanging with family and chillin. 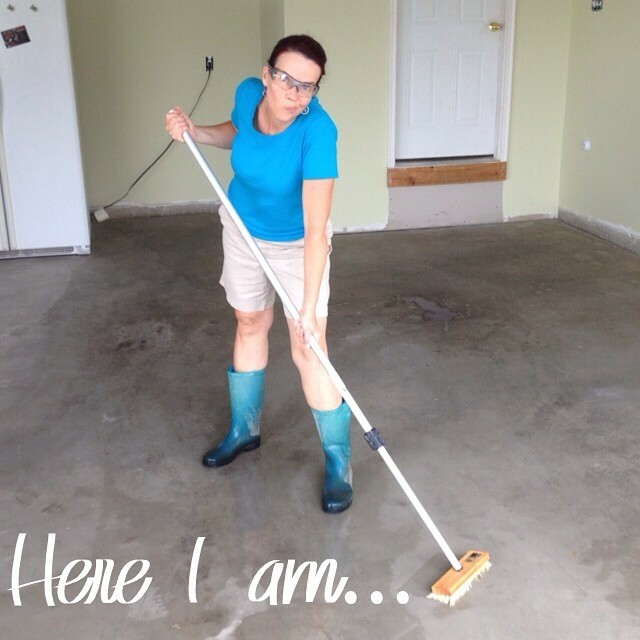 Hubby and I thought that having stained concrete floors in the garage would look really cool! 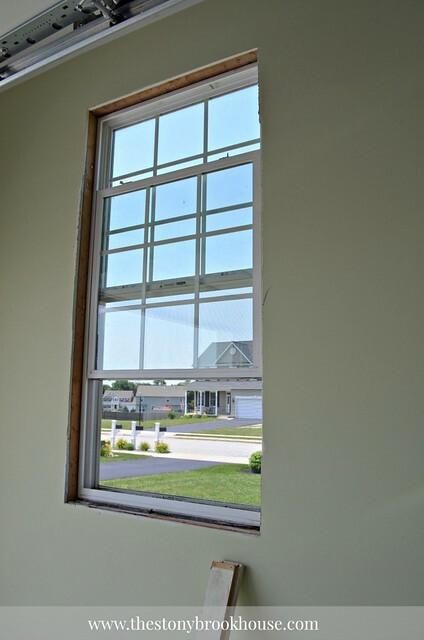 It might hide some of the imperfections in the floor, cover some of the stains, etc. So, we got the cleaner/etcher and I spent a Saturday cleaning one bay of the garage. I even used it as one of my photo of the day pics. I was all gungho to see how this was going to work!